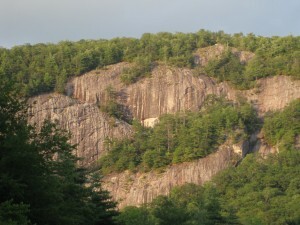 Created in the spirit of the lifes work of famed conservationist, Gifford Pinchot, this unique 350 acre community is a self-proclaimed Mountain Meadowland. Dedicated to preserving the timeless natural beauty that has become synonymous with Western North Carolina, Pinchot was master planned by renowned Carolina designers Seamon Whiteside + Associates the same green approach developers responsible for such groundbreaking communities as the award-winning IOn in Mount Pleasant, South Carolina. 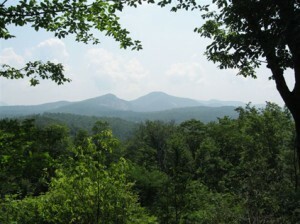 At an elevation of 4,100 feet above sea level, nature lovers will revel in Pinchots peaceful surroundings and the magnificent vistas that abound throughout the community blue skies, green trees and the graceful rolling hillsides of the Blue Ridge Mountains as far as the eye can see. Conveniently located just off Highway 107 north of the Cashiers Crossroads, Pinchot offers its residents striking multi-million dollar residences designed to complement the beautiful natural setting as well as estate-sized home sites ranging in size from two tofourteen acres. This highly sought after gated development features several meadows, tennis facilities and a common outdoor fireplace with simply stunning views of thevillage of Cashiers and the surrounding mountains. Pinchots Whiteside Overlook serves as a popular community summerhouse overlooking beautiful Whiteside Mountain the perfect spot for a summer barbeque or a marshmallow roast under a starry sky. The community provides easy access to boating and water sports at Lake Glenville, and many properties in Pinchot include membership at Mountaintop Golf & Lake Club (upon applicant approval). Silver Creek Real Estate Group is proud to announce that we are now highlighting several incredible homes and amazing lots available for purchase in Pinchot on our website. We are currently showcasing a 6-acre homesite offering breathtaking views of not one, but two valleys, in addition toa meadow below the house site for $595,000. For photo tours and more information please use these Homes For Sale in Pinchot and Lots For Sale in Pinchotlinks. When youre ready to buy or build the home of your dreams, contact one of the talented brokers at Silver Creek by calling us at (828) 743-1999, dropping by our offices located just west of the Cashiers Crossroads in The Shoppes at CreekSide, or by filling out our online contact form. We look forward to meeting you and introducing you to one of Cashiers most unique communities. Nestled upon 200 beautiful acres in Western North Carolina, Chattooga Club was founded as a family-friendly mountain retreat near the historic village of Cashiers in 1988 by Charleston executive, John Rivers. An enclave of just under 70 home sites and specialized amenities, this extraordinary gated community is carefully designed down to the last detail to coexist in harmony with the pristine natural setting on which it is built. A broad offering of homes, from quaint cottages to luxury custom estates, paired with a unique blend of amenities Chattooga Club seeks to offer something for everyone. Amenities at The Club include the highly revered Life Enhancement Center, which offers state-of-the-art fitness equipment, high-energy aerobics classes, personal trainers, and a world-class spa featuring relaxing body massages, facials, manicures and pedicures. Additional Club amenities consist of three Har-Tru tennis courts, heated swimming pool, fully stocked trout lake, active childrens programs, hiking trails, and five-star dining at The Chattooga Club Lodge. 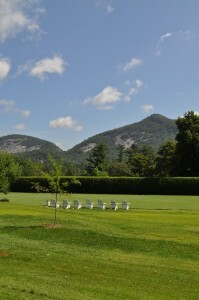 At the heart of the community and setting Chattooga apart from other communities in the area are two meticulously landscaped croquet lawns considered to be among the finest in the world. Invitational tournaments are held here biannually each year drawing croquet enthusiasts from all across the nation in the summer and the fall. Between the sight of families playing croquet on the lawn and the native Appalachian-themed architectural design of the homes and Chattooga Club Lodge, visitors may feel as though theyve taken a step back to another era a simpler time.